As one wave recedes the next one crash, so goes the perpetual motion of the sea along Goose Rocks Beach. 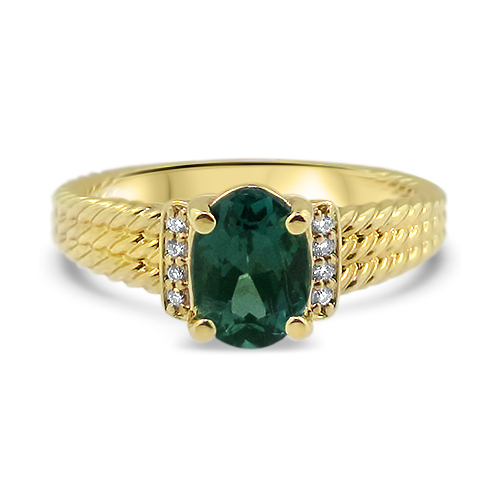 The diamonds crest over the tourmaline and flow back under it in perfect rhythm like the bubbles on the waves as it encompasses the watery Blue green tourmaline. 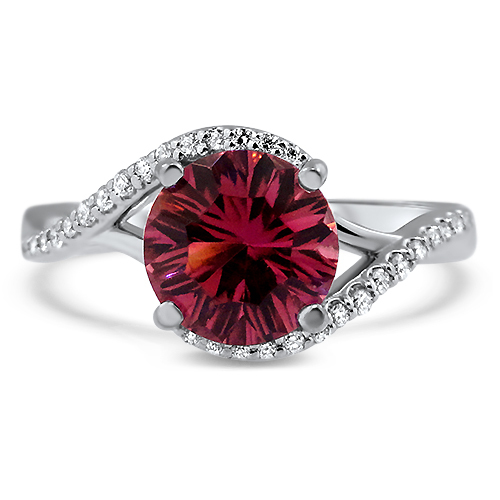 This ring features an 1.73ct round Maine Pink Starburst tourmaline prong set in a 14K white gold mounting. 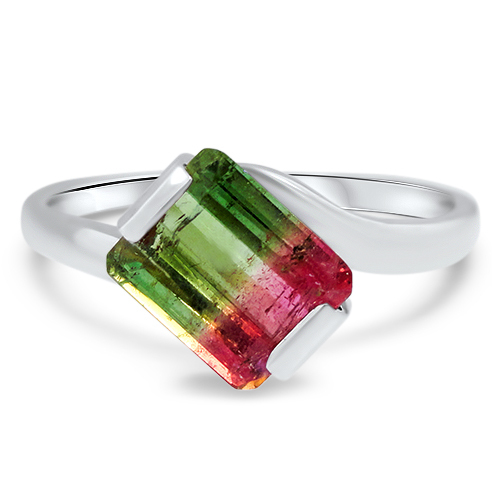 The ring features 0.12cttw of White Diamonds in a by-pass setting around the tourmaline. The diamonds are SI clarity and G-H color. The item is currently out of stock. However, this does not mean that the item is permanently unavailable. 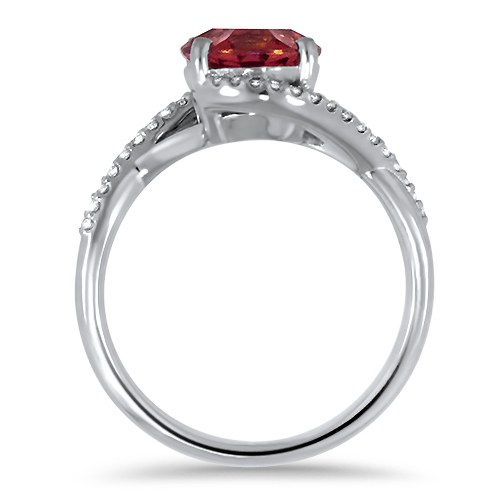 It may be in production with our goldsmith, or it may be able to be duplicated within a short period (usually 1-2 weeks). When you call, one of our associates will inform you of when the item will be available to ship. Free standard shipping on all orders over $75. Standard shipping is USPS Priority and insured for the full product value. FedEx 2nd day and overnight shipping are available by request. Additional fees may apply. 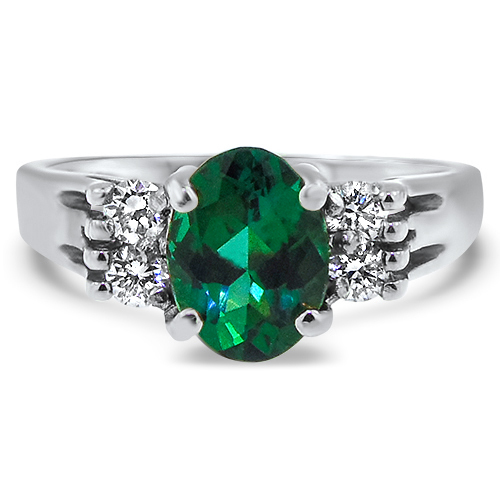 * Prices are subject to change, please call for daily pricing on metal, stone and sizing options.